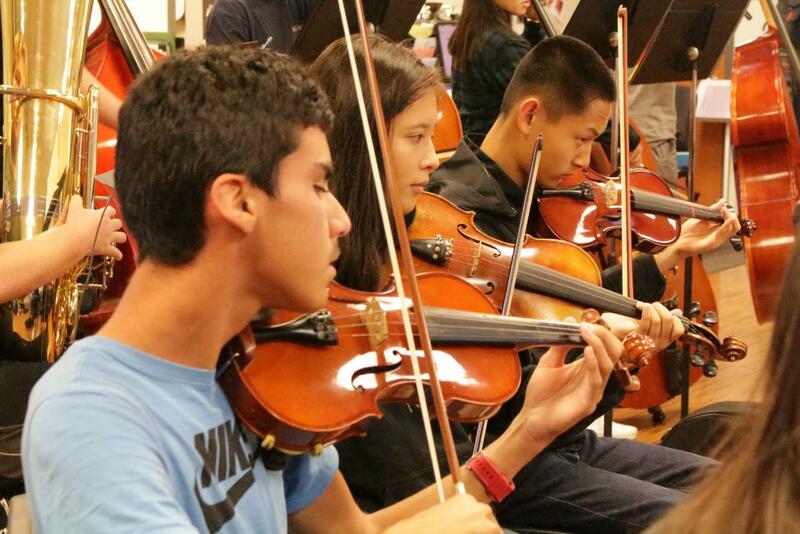 Students in orchestra have no ordinary lesson plan in their classroom. Orchestra teaches “learn by doing,” therefore, students practice with their instruments until a song is perfected. 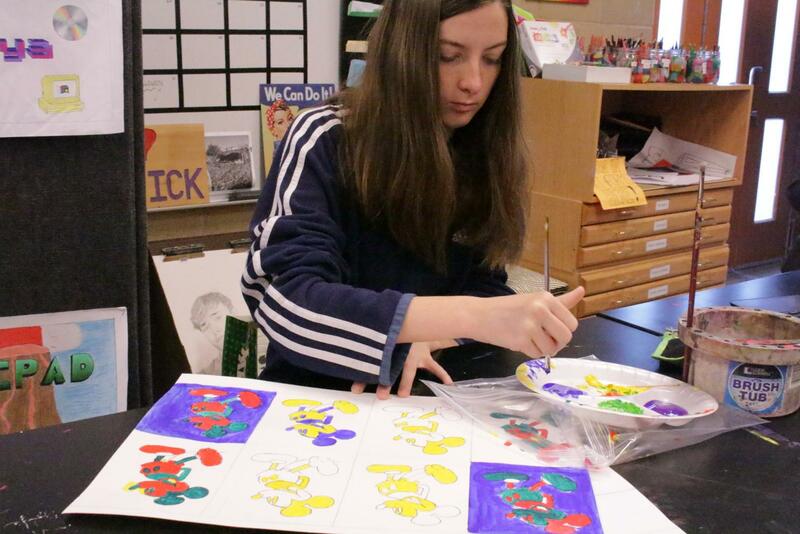 Art 1 students hone in the skills they have learned throughout the trimester with a creative project. As finals week approaches, many students are beginning to review and study past content. 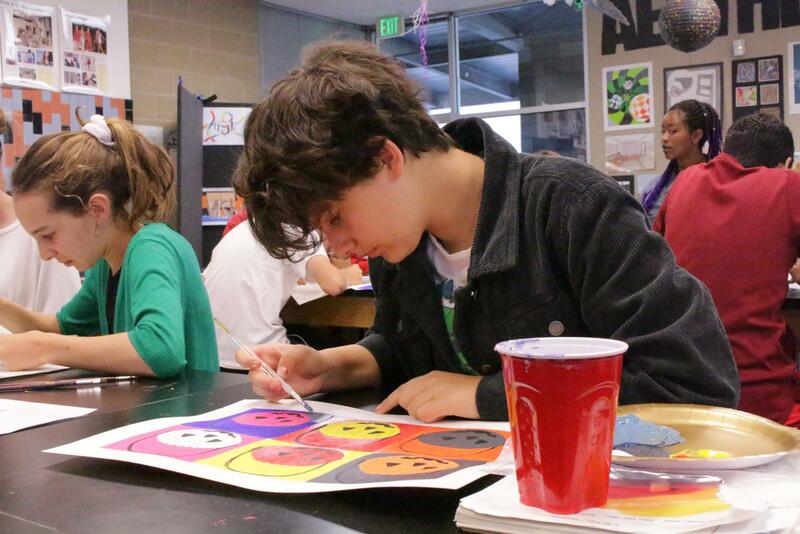 Having art on the mind, the Art 1 students spend their mornings painting different characters and/or logos of different cartoons and companies. Creating this assignment as one of the last of the trimester, it shows how much the student has improved throughout the year and the progression of their work. 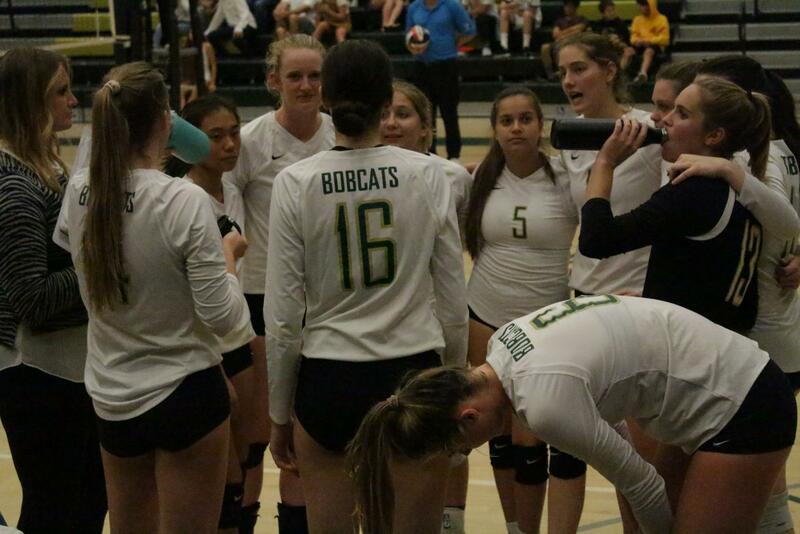 All huddled up, the girls varsity volleyball team gets together to discuss their previous plays and how they can improve throughout the rest of the game. After the quick chat, the girls gained even more confidence and won the match. 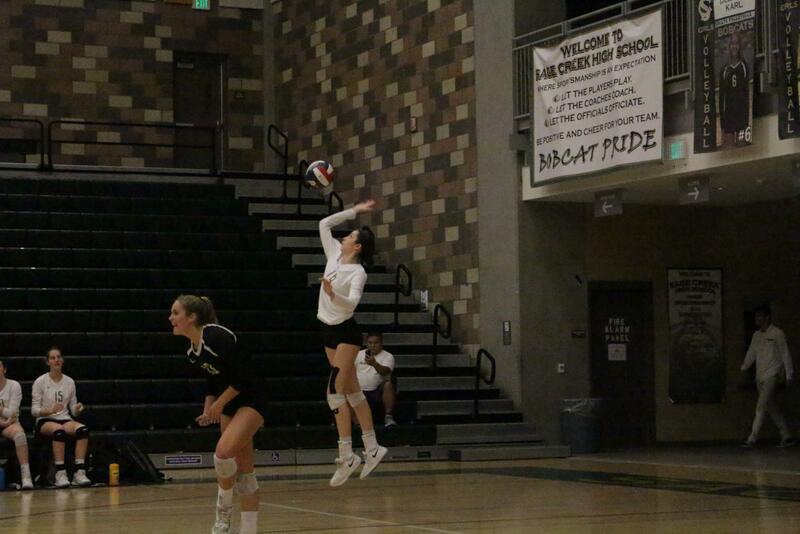 Freshman Delaney Karl dominated the San Diego Division II Championship game against El Capitan with 18 kills and four serving aces. Karl was also named Union Tribune Athlete of the Week. 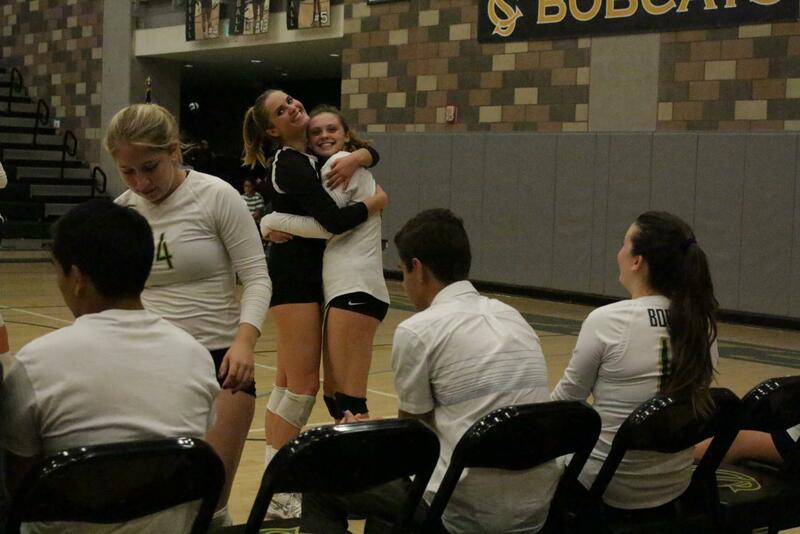 Seniors Samantha Blackburn and Courtney Clexton hug it out after winning their State Championship game. With this win, the girls scored 25-18 and ultimately defeating the other team. 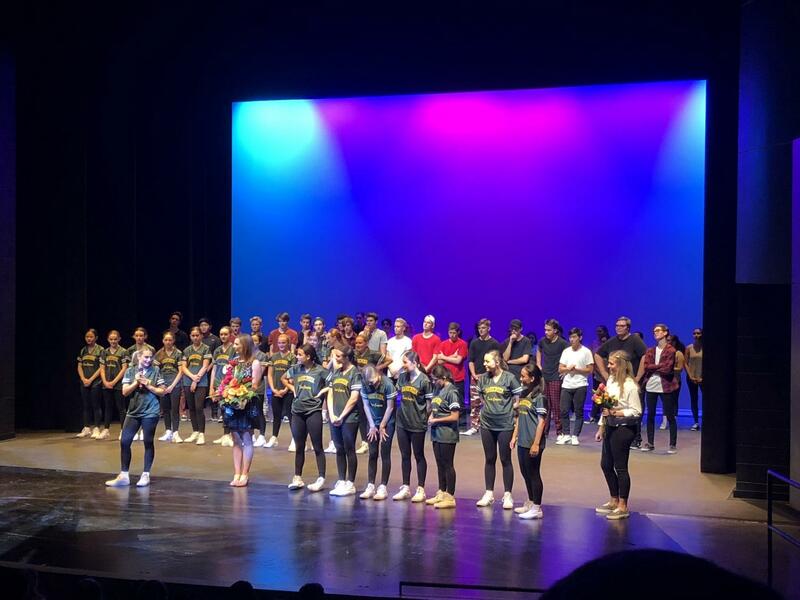 Sage Creek Dance Company along with the Bobcat Boys Crew and Dance 1 bow at the end of their Fall Dance Show. The show, "Awaken," was held Nov. 8 and 9.